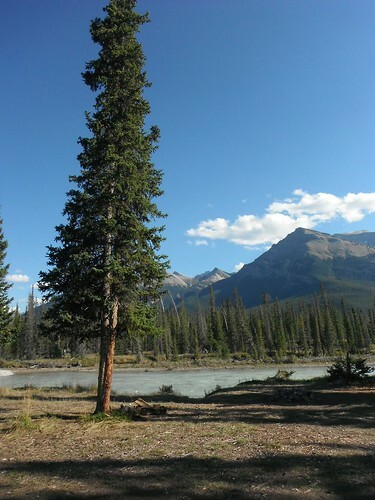 Panorama ~ Jasper, Alberta. Click for wide view. And then there’s the view from the trail. Worth getting up for! 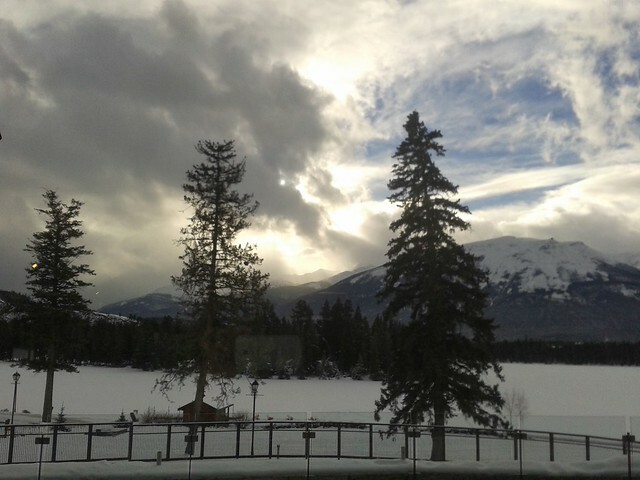 This entry was posted in country escapades, life, nature fix, winter and tagged Jasper National Park, lakes, mountains, rivers, Trees on January 11, 2014 by misshermit. On the sun’s quarterly landmarks I take a vacation. I am learning new holy days, rooted in the natural rhythms of the universe in which I find myself. On these holy day holi-days, I devote a day to connect with nature directly. To remind my body and my mind what it is to be an animal in this world – away from the mental focus of my regular life. This fall equinox, I left the city behind and headed for the hills. Along the David Thomson highway, on the crown land nestled near national parks, there is a wilderness playground for urban escapees. An informal camp site at the end of a rough road called itself “home” the instant I entered the space. Beside the swift mountain river and ringed with mountains, it made a luxury resort for the weekend. 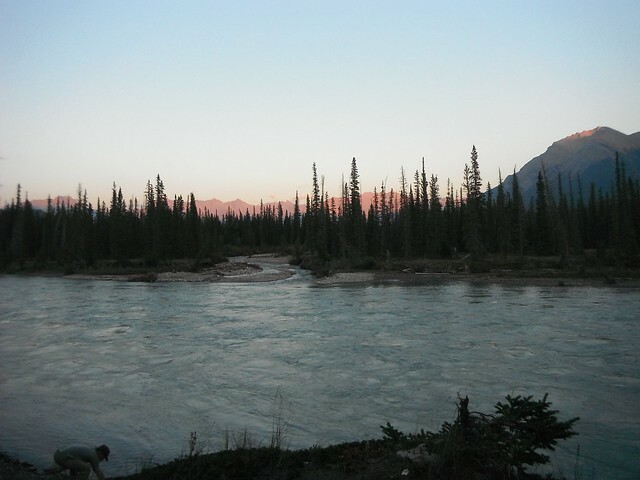 This entry was posted in autumn, country escapades, life, nature fix and tagged camping, Equinox, holy days, mountains, North Saskatchewan River, Sunset, Wheel of the Year on September 21, 2013 by misshermit.